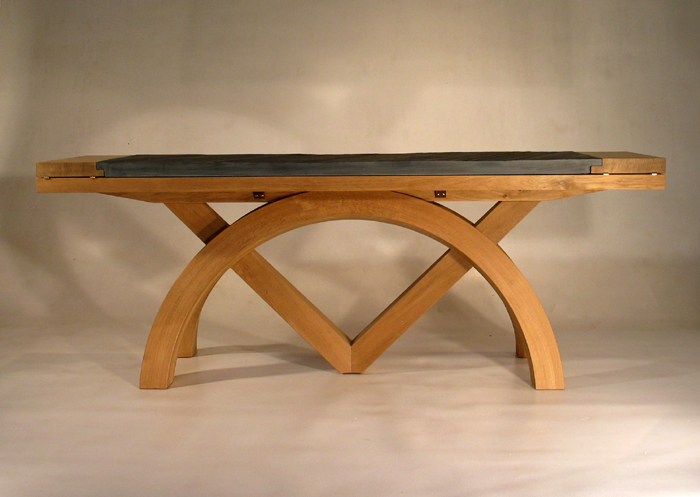 Extending Sextant Table with Welsh Blue Slate Top shown folded downwith Welsh Blue Slate Top shown folded down. Solid brown oak with oiled finish. Hinged sides extend width-wise 6ft 7 in (200cm) x 20in (51cm) extending to 35in (89cm).